Pulled all the punches? 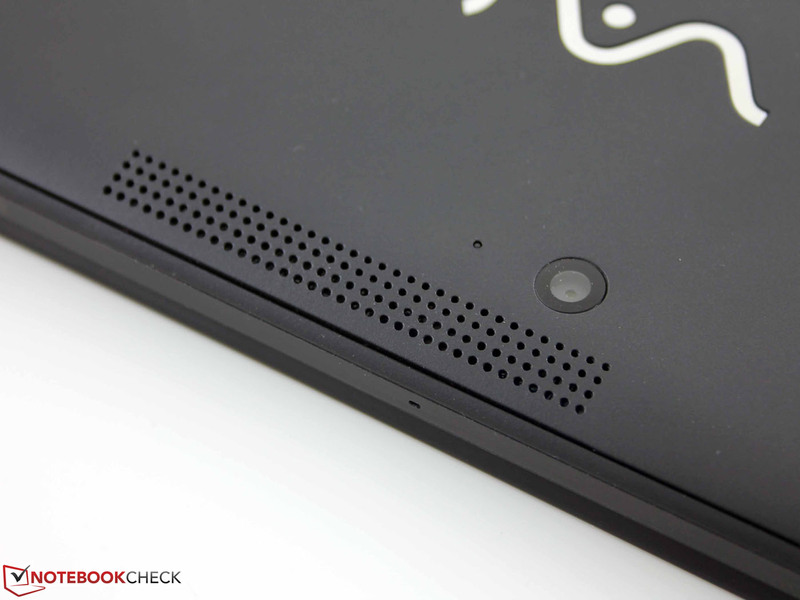 Only 10 millimeters thick, yet a Windows tablet with the usual speedy performance? Sony believes demanding users can work more productively than ever with a Windows tablet today without sacrificing comfort or mobility. Is it the tablet highlight of the year? 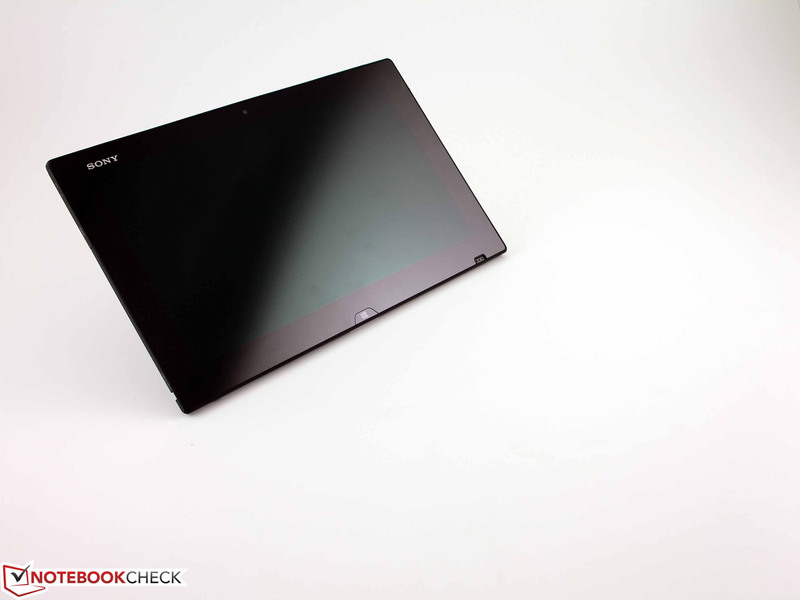 Sony Vaio Tap 11 SVT-1121G4E/B: Can the slimmest also be the best? 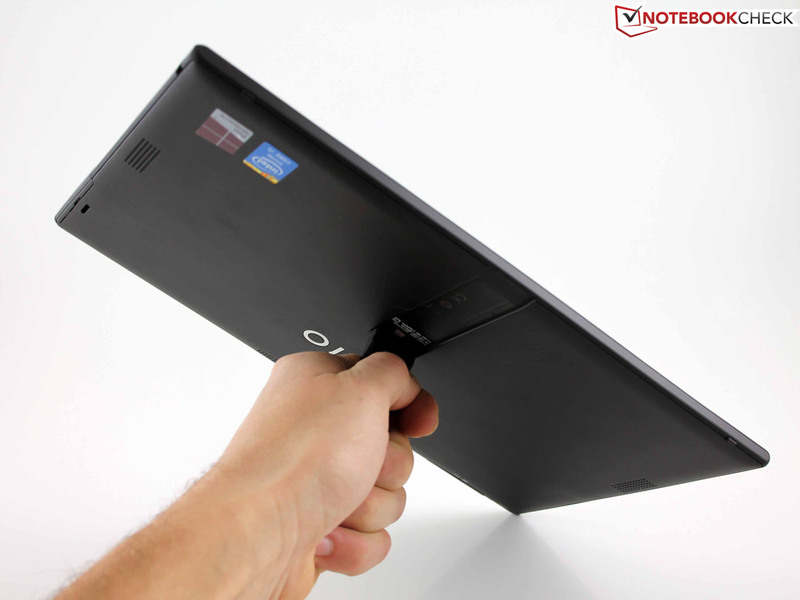 How can you turn a clamshell laptop into a tablet without making it into a bulky and unhandy convertible? Many answers have been found for this question in the past two years. 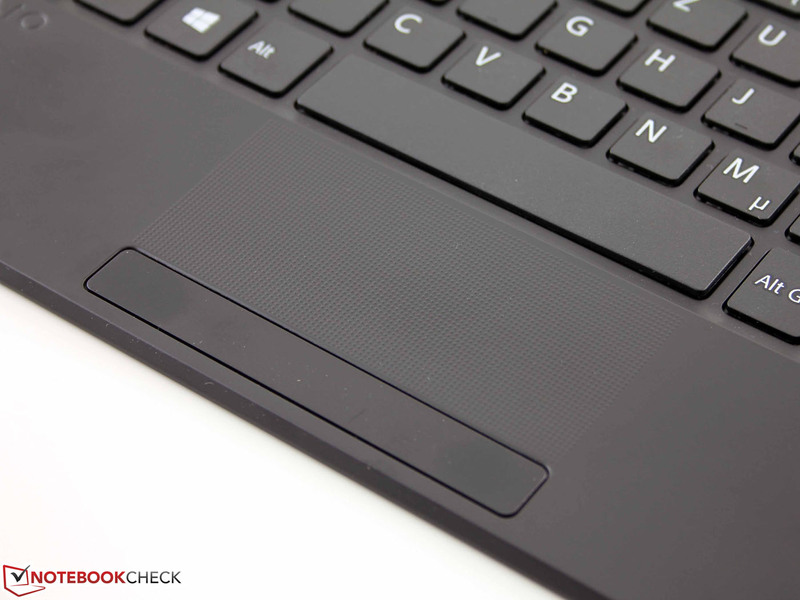 Some separate the screen from a keyboard dock (HP Spectre 13), others simply fold the screen in a frame (Dell XPS 12), and even others invent a 360 degree hinge to fold the screen on the back (Lenovo Yoga models, e.g. Yoga 11S). Sony opted for a slide mechanism for its Vaio Duo 11 and Duo 13 models early, and was quite successful with that on the market. At least, we believe this looking at the feedback from the readers. The numerous convertibles of the past two years emerged for system reasons: How can you build a "tablet" that features the same performance, and (customary) comfort of a real keyboard? Convertibles seemed to be the best solution for this because the same Intel Core platforms could partly be installed as in subnotebooks. However, there were also pure tablet form factors for the Windows World. 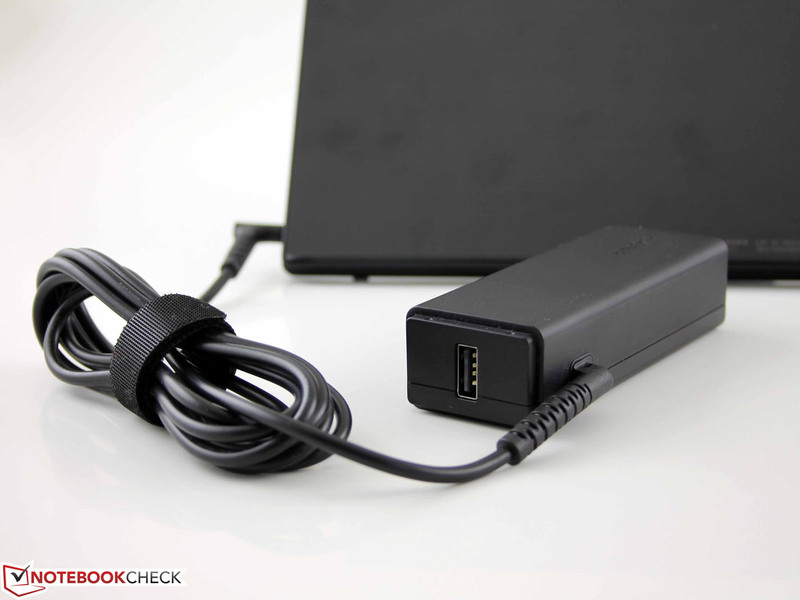 Devices, such as the Microsoft Surface Pro or the early Samsung Series 7 XE700T1A-H01DE Slate PC suffered from a fairly short battery runtime, high weight, and massive throttling in some cases (Surface Pro). We also encountered some full-fledged models that represented an all around work device, and that had a reasonable price, e.g. Wortmann's Terra Mobile Pad 1160 Pro. Sony now attempts to reinforce exactly this lineup of genuine Windows tablets without the ballast of convertibles. 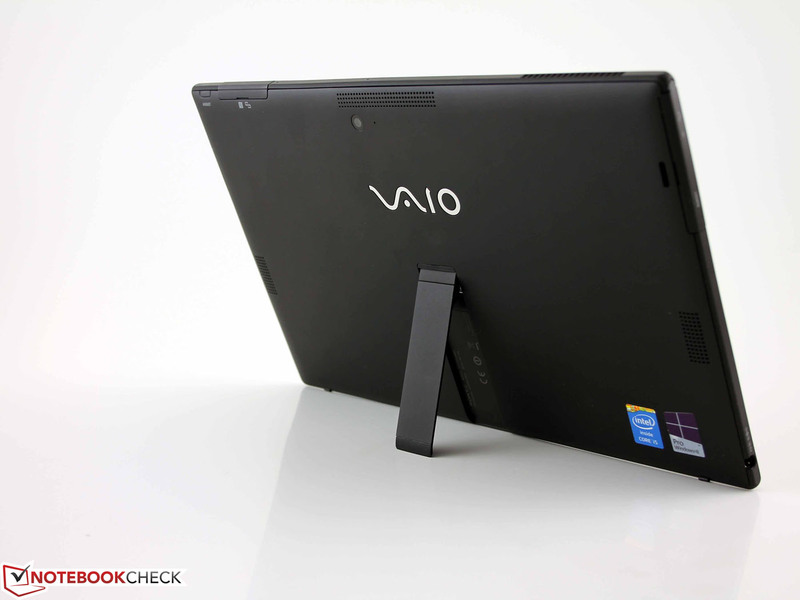 At 10 millimeters (~0.4 inches), the Vaio Tap 11 SVT-1121G4E/B wants to be the thinnest Win-Tablet on the market, offer long runtimes, and give the user Intel Core computing power. Microsoft's Surface Pro 2, recently positioned itself as a direct competitor for the slim Windows 8 Vaio. 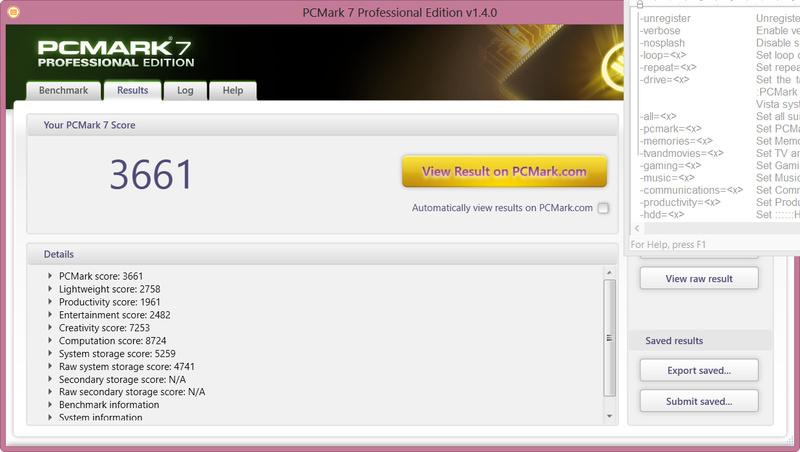 Also equipped with the Haswell generation, it stands out with virtually unleashed performance, and a very good screen. Lenovo's ThinkPad Helix 3G is at the very top of professional users' wish list because it features first-rate input devices (keyboard dock) alongside high processing power, and many interfaces. The Vaio Tap 11 is available starting at 800 Euros (~$1094). Sony makes this possible by using a low-priced entry-level configuration in the form of a Pentium 3650Y. 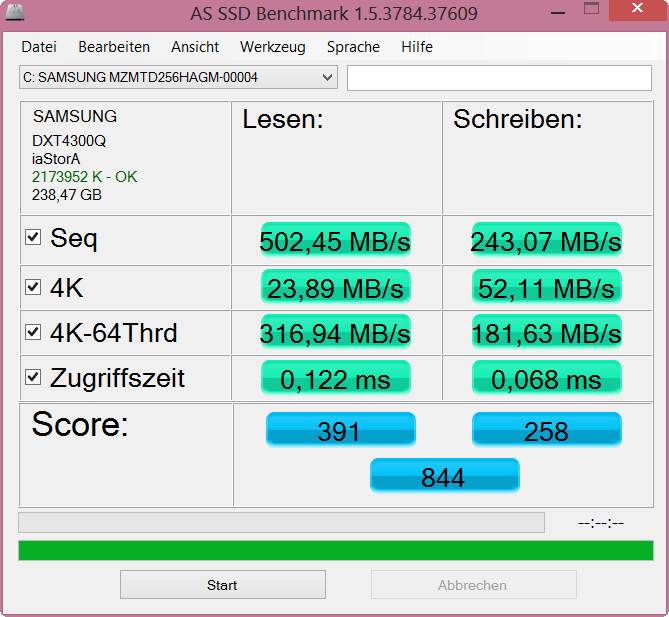 The review sample however costs 1300 Euros (~$1778) in the Core i5 configuration with a 256 GB SSD. The tablet and the keyboard add up to 15 millimeters. The chassis does not slip out of the hands. Bad: Pressure marks are visible on the screen when handling the tablet, or light pressure is applied on the screen's right. 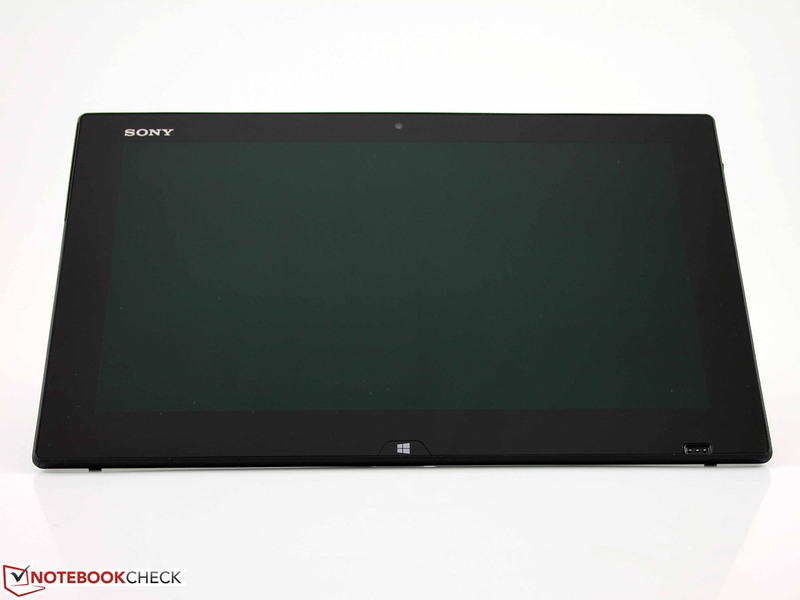 Sony states that it is the "thinnest Windows 8 tablet in the world". That is well possible because its thickness of 10 millimeters has not yet been achieved in this performance category with an Intel Core processor. The build's height increases to 15 millimeters (~0.6 inches) with the same external dimensions when placed on the keyboard. The Surface Pro 2 is four millimeters (total ~0.76 inches) thicker, and Lenovo's Helix reaches 20 millimeters (~0.79) with its keyboard dock. Apple's iPad (3rd Gen. 2012) has the lead with 9.5 millimeters (~0.37), but it does not sport Intel Core components. 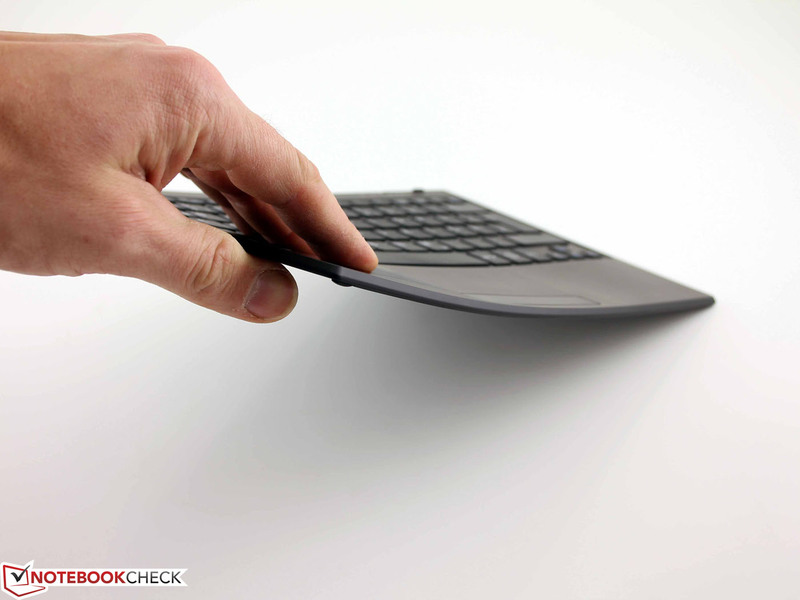 The keyboard is connected to the sleek tablet only magnetically. This is just enough to lift the tablet without losing the keyboard. At the same time, the 3-pin connector ensures a certain hold against lateral shifting. Overall, it is fun to carry the tablet with its connected keyboard. However, the keyboard plate often slips slightly, but the magnets pull it back in the park position immediately. How is the tablet propped up in front of the keyboard? Like in Microsoft's Surface 2, there is a stand on the back, but it is much more delicate in this case. 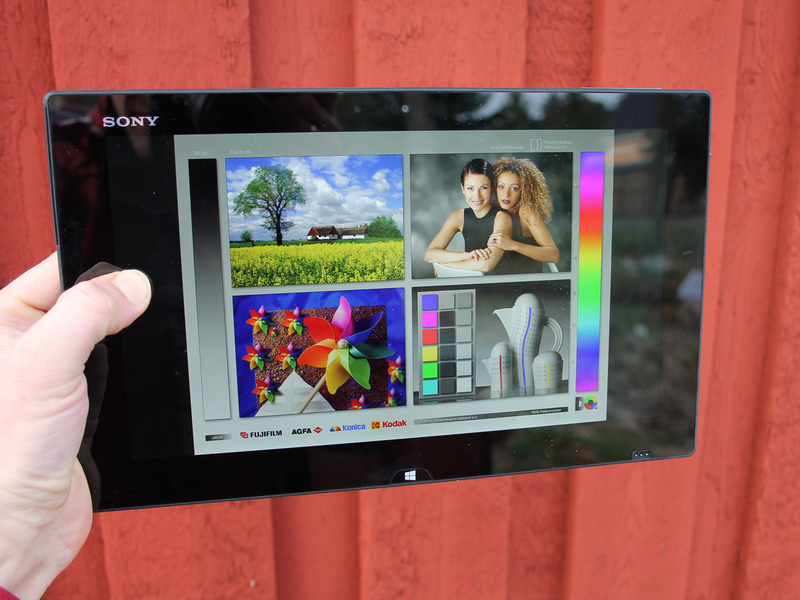 The tablet exhibits even gaps, but the matte plastic frame can be pushed away with a fingernail in some places. The plain looks of the overall matte casing (the backside is hard plastic) are interrupted a bit by the interface flaps. 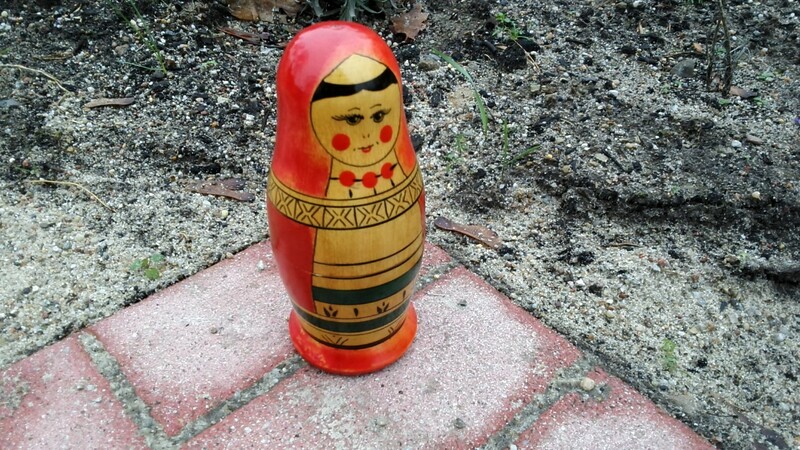 We touched the wobbly left cover frequently when handling the device and it sometimes even opened. The keyboard's weight of 290 grams (~10.2 ounces) is relatively high, and is due to the thin aluminum plate that composes its base. The keyboard is very pliable, but that is not a problem when placed on the desk. A USB and micro-HDMI are the only significant mechanical ports on the Tap 11. Unfortunately, both are located on the far upper left, which looks especially unsightly on the desk when cable/s is/are connected. At least the power supply's cord is pulled to the very bottom, and has a special feature: The plug can either be bent down or "pulled off". Thus, no one will stumble over the cord and tear the tablet from the desk. A generous supply of software or bloatware? Sony stuffs the 256 GB hard drive full of programs, including full and trial versions. The user only has 140 GB available in the state of delivery after deducting McAfee LiveSafe, Sociallife, and Office 365 (trial). Sony does not install commercial software like Imagination Studio (video, audio creation/editing) on the Vaio Fit 13A (value: 99 Euros; ~$135). However, this seems appropriate in view of the target group. Like almost all review samples, Intel's Wireless-N 7260 Wi-Fi adapter only transmitted up to a distance of 10 meters (~33 feet) without clearly losing signal strength. 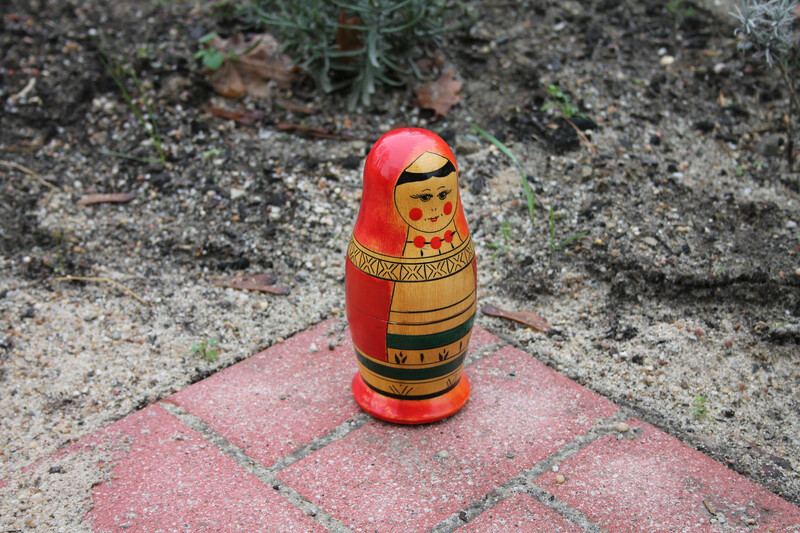 It lost contact with the router at a distance of 15 meters (~49 feet) outside of the building. All other tested devices still displayed a signal strength of at least 2 - 3 bars. Apparently, this is not due to poor antennas because all Wireless-N 7260 modules exhibit this range limit (e.g. Vaio Pro 13, Vaio Fit 13A, Lenovo IdeaPad U430p, Dell Inspiron 7737). The router runs with a transmission performance of 50% in our non-standardized tests. Both Bluetooth 4.0, and an NFC module are installed for contact-less connections, for example with "NFC enabled" Bluetooth headphones. 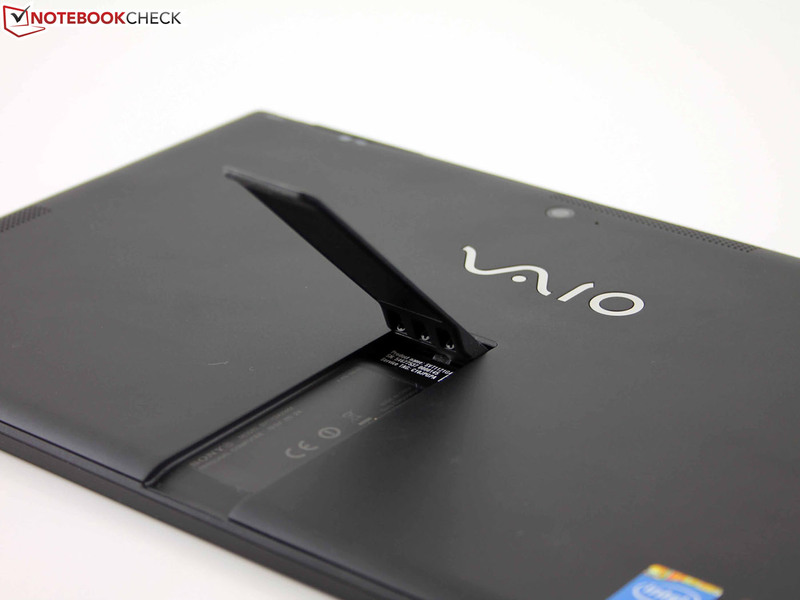 The Vaio does not feature exclusive hardware security features, such as a TPM module or fingerprint scanner. It does not even have a Kensington lock. However, Intel's Anti-Theft is installed. The BIOS only has a few, consumer-typical options, e.g. entering a system password. Both webcams are identical with the ones in the Vaio Fit 13A, and the same applies to their quality. Besides the front-facing camera (0.9 MP, 1280x720 pixels), there is an 8 megapixel primary camera on the back (3264x2449 pixels). The picture quality in daylight is good. The Tap 11 displayed an incorrect focus on the object in the medium resolution (1920x1080). 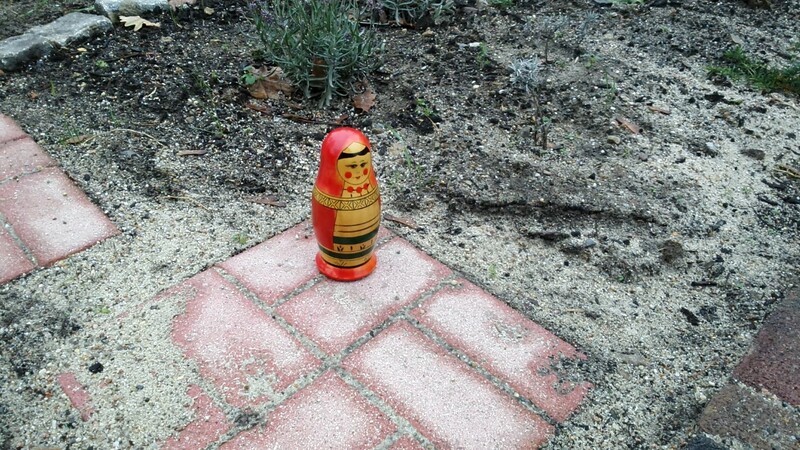 The focus is also behind the object in the maximum resolution (screenshot 3). This can be prevented by making several attempts and by focusing the object exactly in the picture's center in the best case. Otherwise, the pictures are displayed clearly, there is no noise, and the colors look natural. We took the shots under heavily overcast conditions. The front-facing HD camera is not at all as good. Its pixelated, dark pictures are only suitable for snapshots or video conferences. 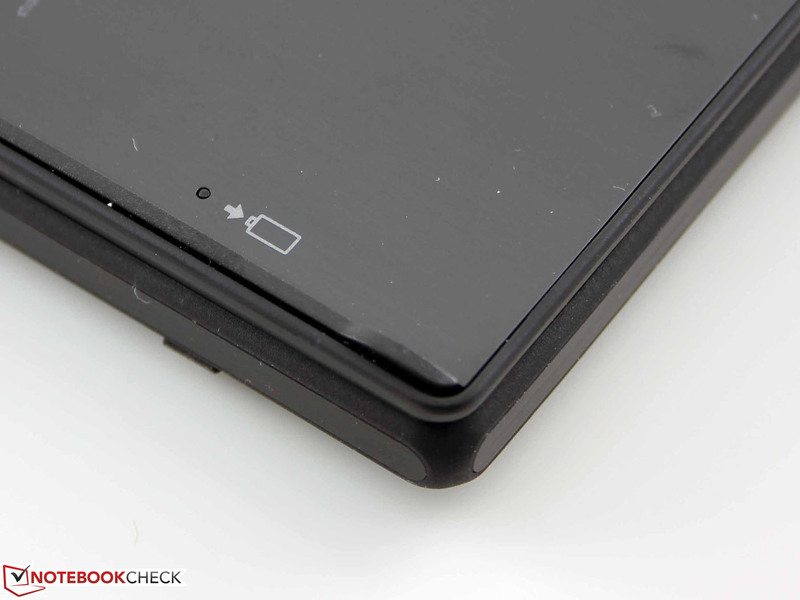 The 11.6-inch tablet does not have maintenance covers; the battery is not removable. Sony includes a two-year warranty on its Vaio Tap 11. 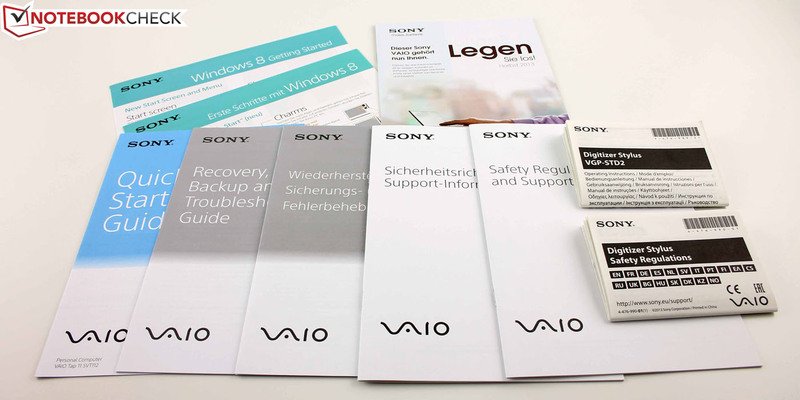 The manufacturer offers the same warranty upgrades for all Vaio devices; information can be found on the corresponding website. The 4-year warranty upgrade costs 170 Euros (~$233). 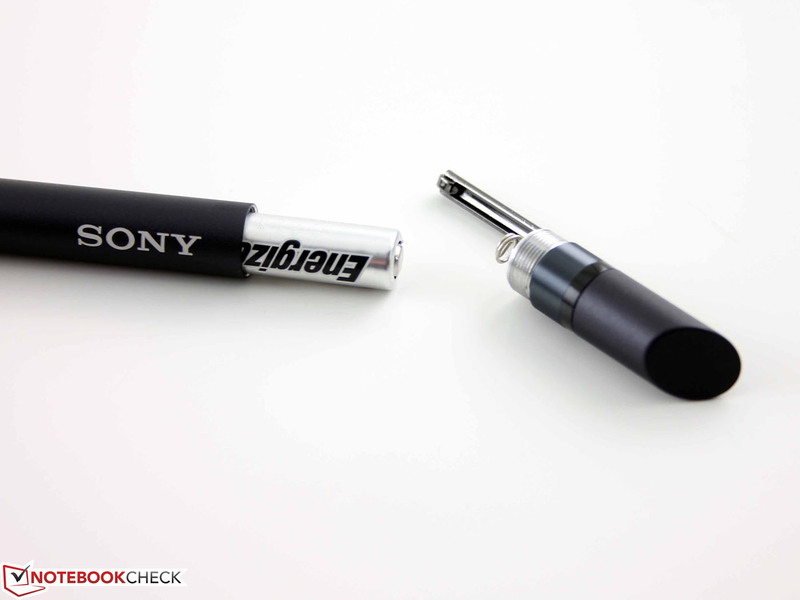 Sony puts a digitizer pen in the box that fits to the touchscreen's grid surface. An Ethernet Wi-Fi and HDMI-to-VGA adapter are optionally available. Together they cost 60 Euros (~$82, Sony Store). The small keyboard is connected to the Tap 11 via Bluetooth and is enabled via NFC. It is connected without notification as soon as it comes near the tablet. It can be completely disabled via a switch. The drop is sufficient, and the pressure point is clear; unfortunately, the latter results in a spongy stroke. However, the key bed does not yield since the input is level on the desk. The keys feel uneven, particularly on the left, and their surfaces yield only slightly when hit by the finger. The layout and key spacing allows swift typing. The even keys however do not give touch-typists a particularly good accuracy. The touchpad is part of the Bluetooth buttons, and it can be disabled via a switch. Subtle dots indicate the pad's surface. The pad with dedicated mouse buttons is sensitive up to its edges, and supports the standard multi-touchpad functions. However, we could not do more than zoom or scroll with two fingers because the options in the mouse driver are much too limited. The device is only listed as an HID compliant mouse, and only the Windows settings are available for the input device. Two buttons are below the long key's right and left. 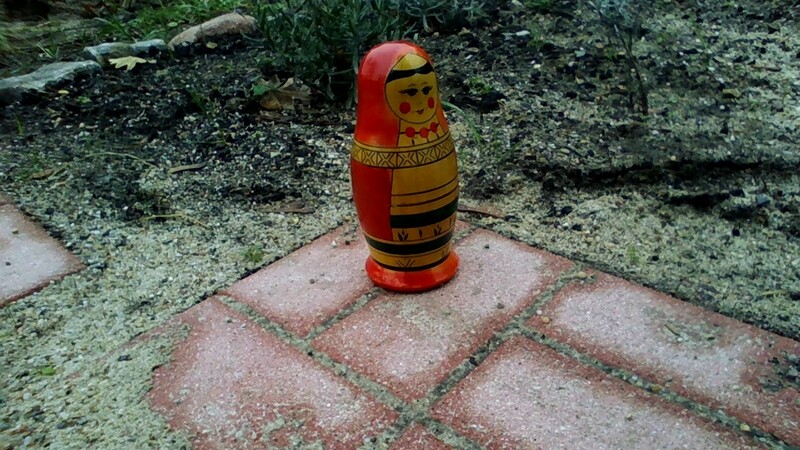 They have a short drop, and a stiff yet clear pressure point. Overall, the pad's quality is acceptable, but it would have had to feature a considerably better typing feedback for the premium class. The touchscreen responds to finger inputs immediately. Clicks on small icons are detected accurately. Modifications via the Vaio Control Center were not necessary. 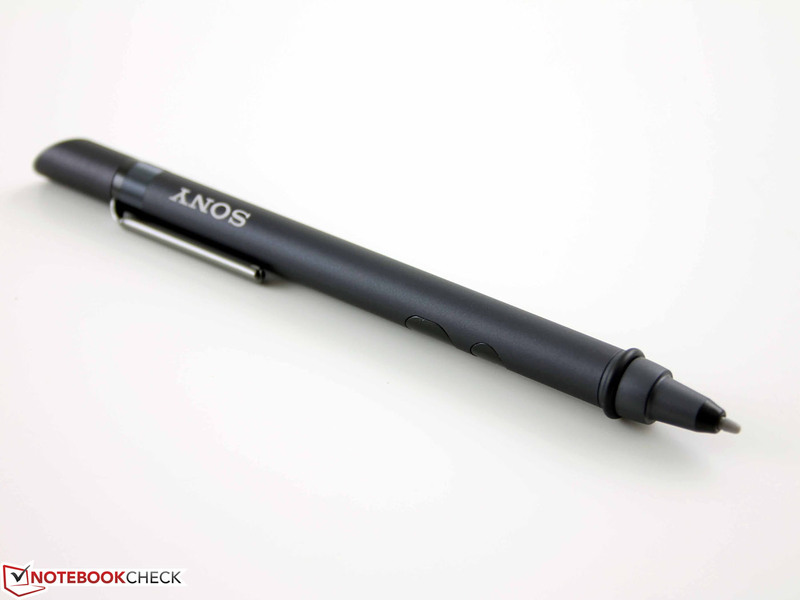 The included VGP-STD2 digitizer stylus is the ideal tool for effectively integrating the touchscreen in the Windows work life. The aluminum pen is comfortable to hold (appropriate weight). As soon as the stylus hovers over the screen, finger inputting is disabled, and we could place our palm or finger on the touchscreen. The pen implements writing or drawings on the screen without delay. We did not ascertain any deviations at the edges. 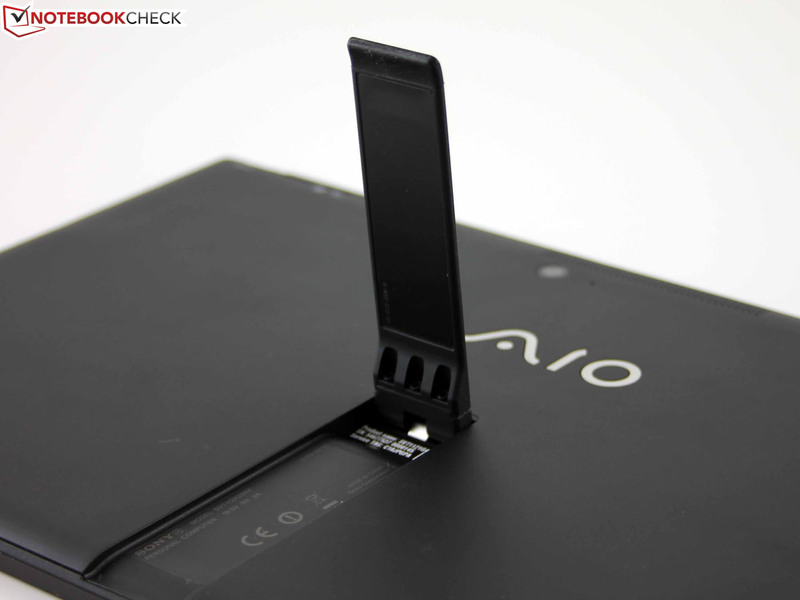 Unlike in the Vaio Fit 13A, Sony does not install Vaio Clip and Vaio Paper on the SSD, but rather Note Anytime. This tool enables creating notes from web content, programs, and of course handwritten inputs. The named tools can be downloaded from Sony or from the Windows Store. CamScanner is installed and even recognized text from a picture taken with the camera via OCR. However, the recognition rate was poor in our tests. 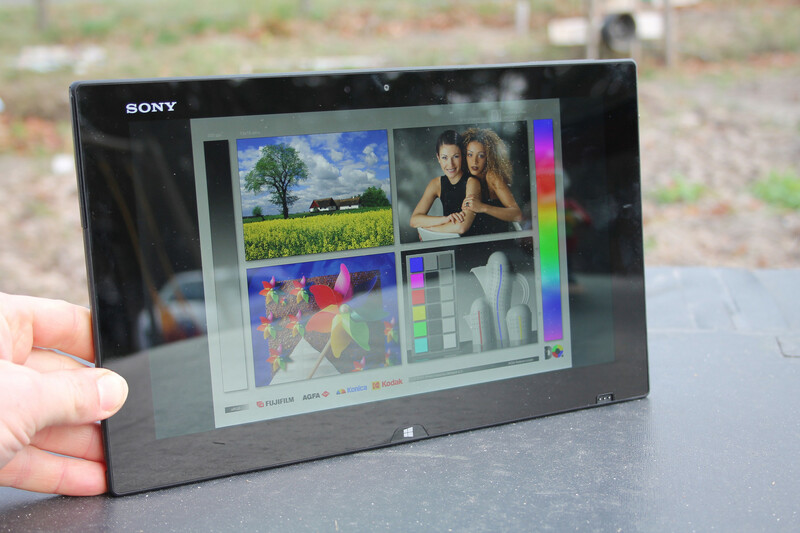 Sony only sells its 11.6-inch tablet in one configuration - with a glossy FHD screen (1920x1080 pixels). This results in a pixel density of 190 ppi. 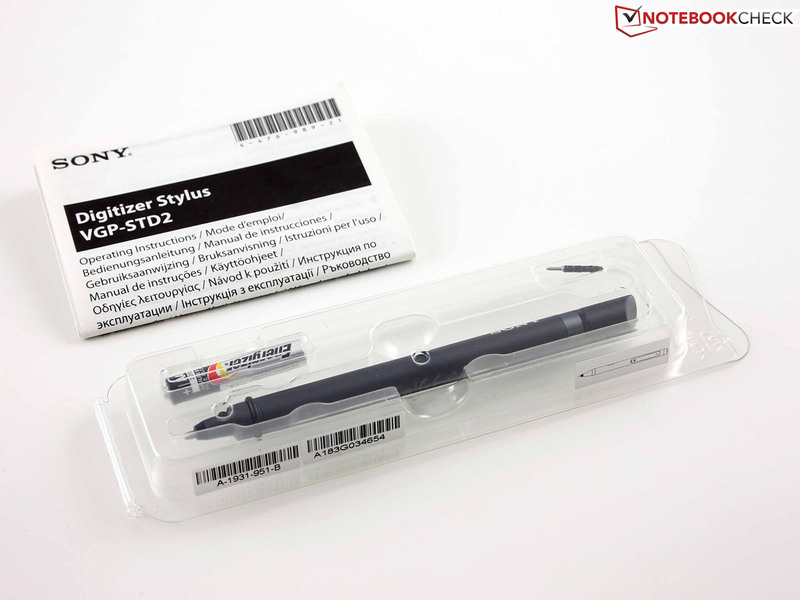 The IPS screen has fairly wide viewing angles as typical for the category, and a surface for digitizer pens. The ThinkPad Helix and Surface Pro 2 contenders feature exactly the same screens according to the technical specs. The contrast and brightness are the most important features of a screen. 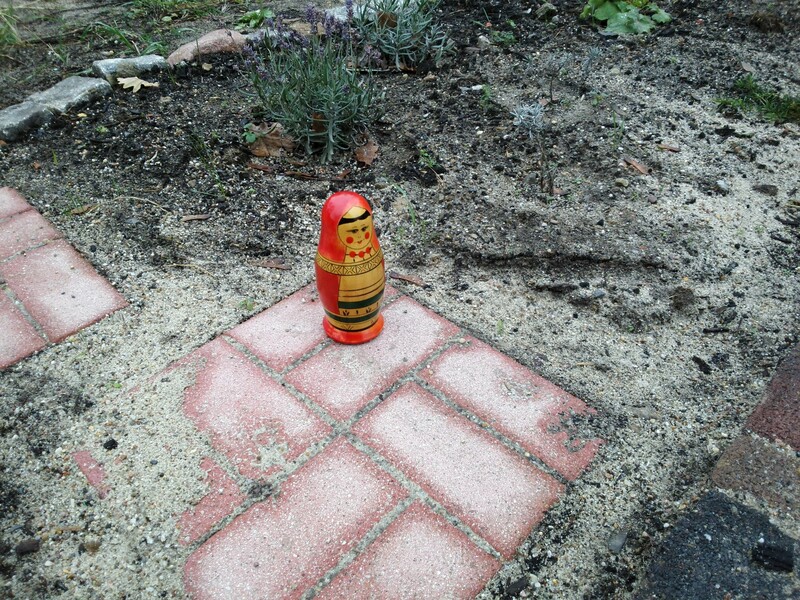 However, they only differ marginally among the contenders. The Helix leads in contrast (949:1), followed by our Tap 11 (831:1), and the Surface Pro 2 (682:1) comes in third. Since the fluctuations in TFTs range from 250:1 to 1500:1, the difference here can be considered marginal. It looks the same in brightness; the differences are within a one-digit range. These, and the other rates are very identical with that of the Vaio Fit 13A multi-flip SV-F13N1L2E/S convertible that is however a 13.3 inch device. The screen's illumination is quite good in view of the high brightness of 412 cd/m², although the luminosity decreases a bit in the lower center. We did not notice clouding at the edges or in any sectors of the screen. The Tap 11 cannot reproduce either the sRGB or AdobeRGB color spaces. The screen can only display 61% of the latter, which is however quite good compared with most consumer devices. The smaller sRGB space is not reproduced either. This is more important for professionals, still the competition is no better in this field; they are worse. We measured the screen with the X-Rite i1Pro 2 spectral photometer. CalMAN showed visible deviations in the grayscale, which is underlined by a high DeltaE of 8. Deviations in blue, magenta, and red were detected among the colors. They are the reason that the grayscale shifts into warm hues. The gray hues strongly shift into blue (cold) in most no-name screens. These deviations are averagely 10 (ColorChecker). The Helix is first place in grayscale and saturation (avg. DeltaE 3); the Surface Pro 2 (3.5) follows close behind. 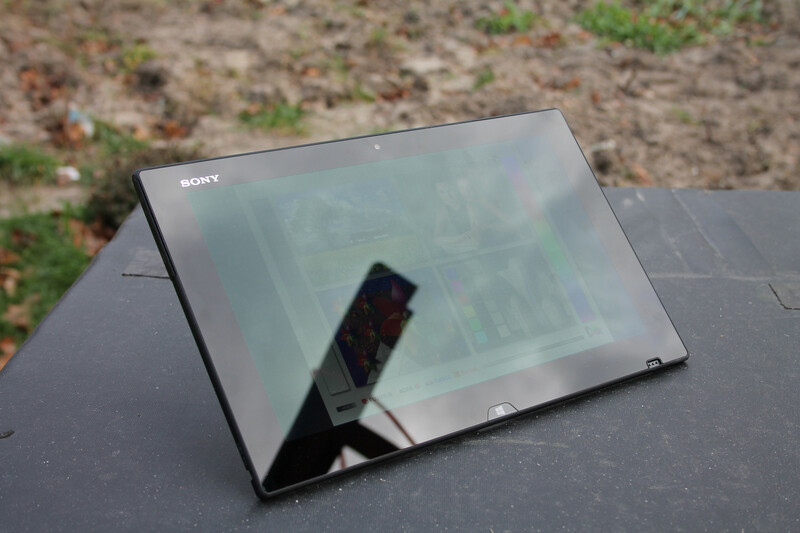 Sun worshipers do not appreciate glossy tablets, but almost all devices feature a reflective-type screen. 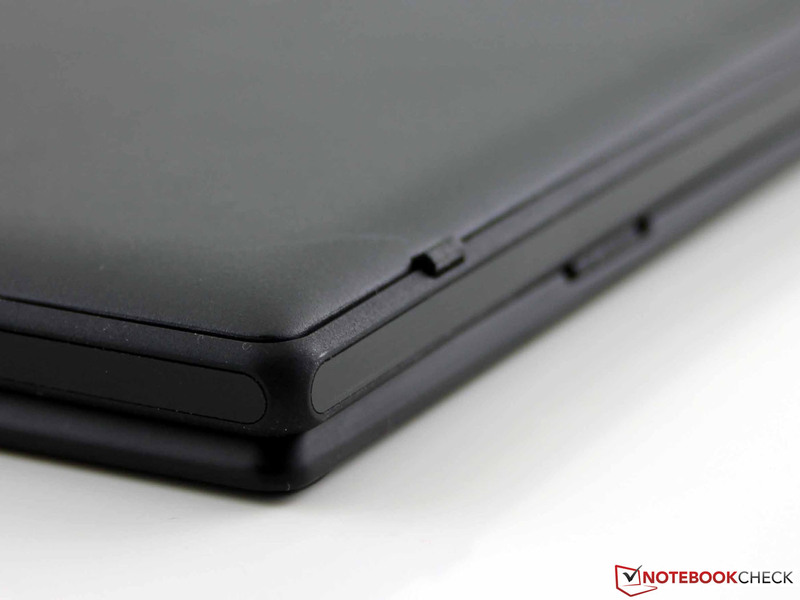 Even exceptions, like the Toshiba's Z10t, are only covered with a matte screen protector. The high brightness can defy relatively gloomy daylight, but the reflections can sometimes have a very adverse effect for the viewer. The Tap 11 features first-rate viewing angles. We see a razor-sharp and color-stable picture from every position. The contenders with an IPS screen can compete with this. How can Sony put the maximum power in a thin casing without breaking the battery and temperature limits? The magic words here are ultra low voltage, but this time in the perfected form of a Core i5-4210Y. While the Core i5-4200U sister model (1.6 - 2.6 GHz) is already frugal with a TDP of 15 Watts, the Y-model's clock is not as high, and only ranges in a vicinity of 1.5 to 1.9 GHz. This reduces the TDP to 11.5 Watts. Then there is the HD Graphics 4200 (200 - 850 MHz) as the most economical model of the Haswell iGPUs. The CPU-GPU combination is quite rare; we have only tested a very similar setup in the Spectre 13-h205eg x2 (Core i5-4202Y) until now. This energy-efficient bundle is complemented with 4 GB of RAM, connected in dual-channel mode (2 x 2048 MB on-board), and Samsung's PM841 MZMTD256HAGM 256 GB SSD. 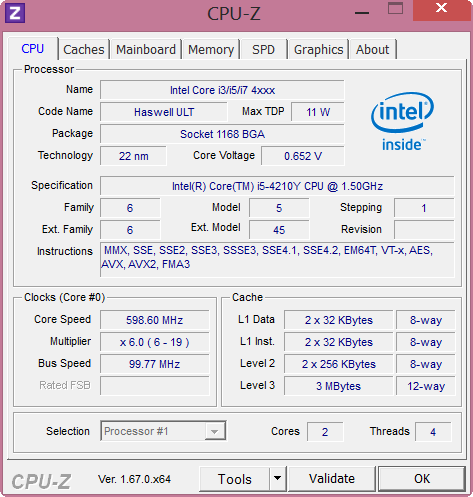 Can the Core i5-4210Y really combine frugality and power? Looking at Cinebench R11.5, this is not the case. All tablets and convertibles featuring a 15 Watt (Haswell) or even a 17 Watt (Ivy Bridge) processor are 45 to 67% faster (multithread). The single thread tests slightly balance this difference. Toshiba's Z10t also sports a Y-processor, but scores higher. The reason for this is the 3339Y can consume 13 Watts, and clock up to 2.0 GHz (spec sheet). Besides that, Toshiba modified the processor, and increased the Turbo to 2.1 GHz, which is also available in multithreading. However, those are no reasons for these major differences. Sony has clipped the Turbo. The R11.5 multi benchmark ran with 1.3 GHz, and a consistently running CPU-only stress test achieved a clock of 1.2 GHz (Prime95 multithread). That is clearly below the default clock of 1.5 GHz. The theoretical Turbo of 1.9 GHz did not even come close to being achieved during our CPU tests. Intel's SDP (scenario design power) might be an answer in this case. OEMs have the option of setting the PL1 to 6 or 11.5 Watts in Y-CPUs (power level in terms of time). The CPU could theoretically achieve 11.5 Watts during shorter loads; it would however drop back to 6 Watts during longer loads. More information about this can be found in this ars-technica article. 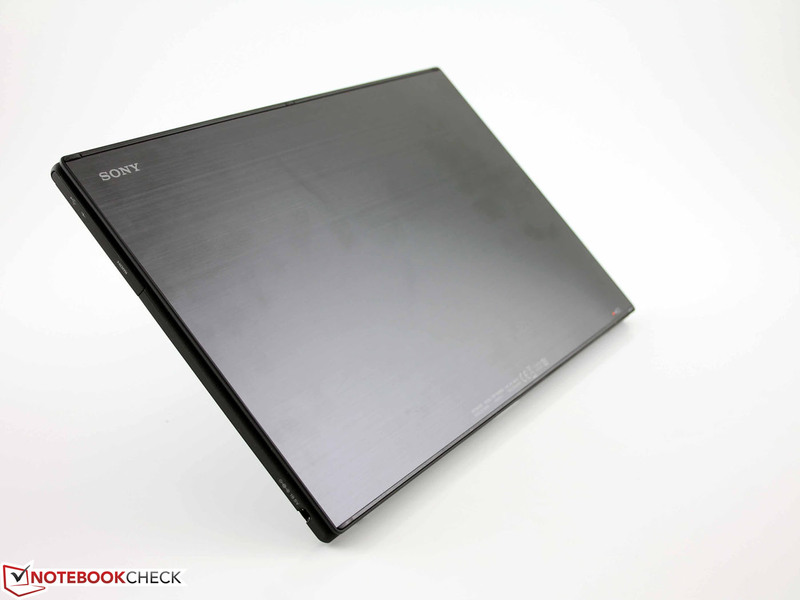 We ran all benchmarks on AC power, and using the Performance or High Performance modes (Vaio Control). An option for Turbo on/off is neither available there nor in the BIOS. The low performance is not reduced in battery mode (identical R11.5 scores). We performed Geekbench 2/3 (32-bit) and GFXBenchmark to compare the performance with Apple's iPad Air. The scores were still clearly in favor of the Intel system (20 to 50%), even when compared with premium-range Android tablets. 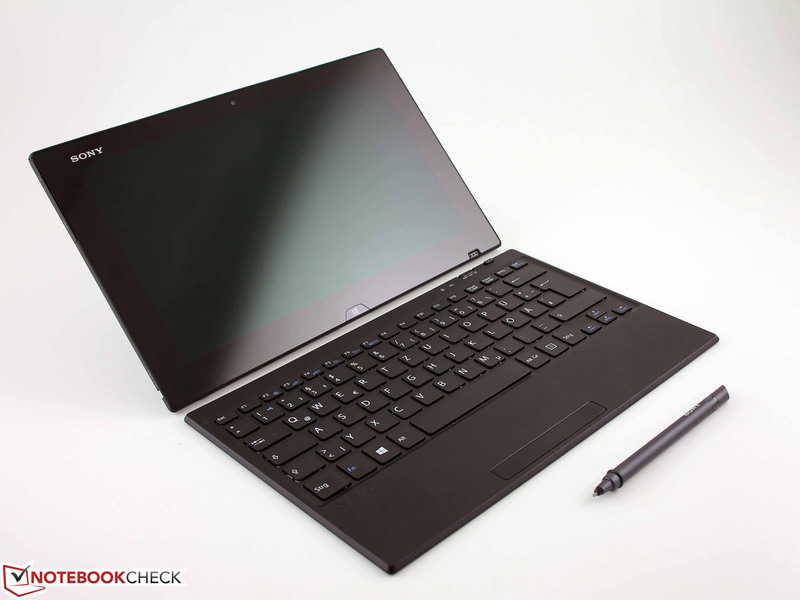 The Galaxy Note 10.1 however achieved a higher score in Geekbench 2. The ARM-based CPUs are still inferior in the single core tests. Clipped processing power also leads to a lower application performance. Sony tries to counter this with a very swift SSD (one of the best PCMark 8 Storage Scores), but it is almost always only enough for the last place in the comparison with premium hardware. The differences in the various PCMark tests are 11 to 28%. Sony relies on a swift SSD model from Samsung. The PM841 MZMTD256HAGM with a gross capacity of 256 GB delivers very good rates in read and write of both big and small data blocks. There is no sign of the weakness as occasionally observed in a few models in sequential read (Gigabyte S1185, Wortmann Terra Mobile Pad 1160 Pro) or write (Toshiba Z10t) of small blocks. The Read 4k turns out exceptionally well, where the Tap 11 outclasses the contenders by 16 to 62%. We summarized the Tap 11's advantages in the chart. 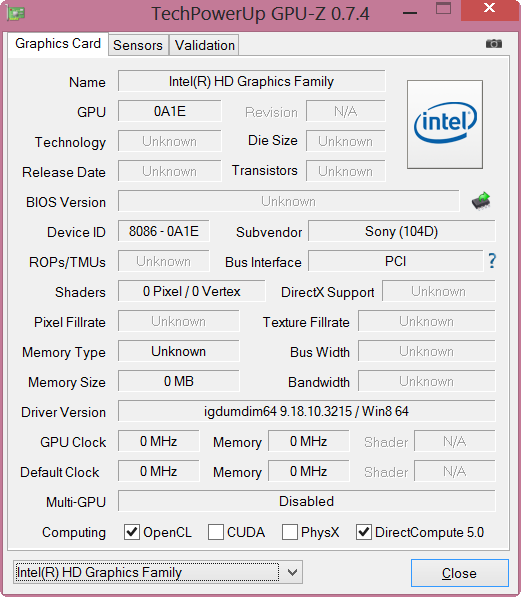 The low-end HD Graphics 4200 processor graphics card clocks with 200 - 850 MHz according to the spec sheet. This could unfortunately not be read out from the Vaio. However, the benchmarks based on the HD 4000, and the capacity indicator from GPU-Z indicate that it does not clock with 850 MHz during load, at least not stably. The HD 4000 in the Terra Mobile Pad 1160 Pro managed a 21% higher score despite its single-channel RAM. The ThinkPad Helix even achieved +29% with the same iGPU (both Ivy Bridge). The HD 4400 Ivy Bridge successor even accomplished a steep 115% more with dual-channel mode (Surface Pro 2). Consequently, gaming should be placed at the bottom of the Tap 11 user's priority list. Only older tracks might be smoothly playable in the lowest settings. We exhaustively tested the HD 4200 in the Spectre 13-h205eg x2. 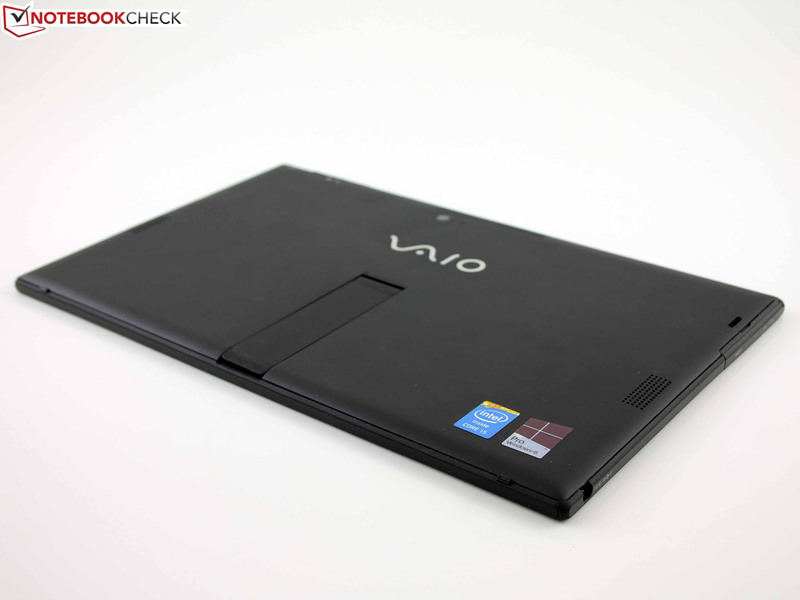 The ascertained frame rates should reflect what will be achievable with the Vaio in the best case. Our review sample's throttling will likely lead to lower rates, as Tomb Raider (41%) proves. Android tablets do not make noise. This is different in Intel systems, with a few exceptions (Bay Trail Atom). An interesting exception is the fan-less 13-inch HP Spectre 13-h205eg x2 (i5-4202Y), which has an identically low TDP of 11.5 Watts. The Tap 11 is noiseless at idle because the fan is inactive. The fan's performance mode does not play a role here (performance, quiet). It gets louder during load in Performance mode. We ascertained 36.6 dB(A) in the stress test, as well as during normal load via 3DMark 06. Silent Mode only mutes the noise level marginally. The competition does a better job here: Lenovo's ThinkPad Helix and the Surface Pro 2 only achieved just below 32 dB(A) even in the stress test. The Helix remained extremely quiet during normal load in routine use with 30 dB(A). The waste heat during idle (upper and underside) is extremely low. The hot spot temperatures are even lower than that of most competitors named in the performance diagrams. Microsoft's Surface Pro 2 is 20% warmer, and the Helix even has a 29% higher temperature. Lenovo blunders in load; the Helix reaches a temperature of 67 degrees Celsius (152.6 degrees Fahrenheit) selectively. The Tap 11 only just reaches 42 degrees (107.6 Fahrenheit) in the same stress situation (warmest spot). The clock rate analysis confirms the results ascertained under Performance. 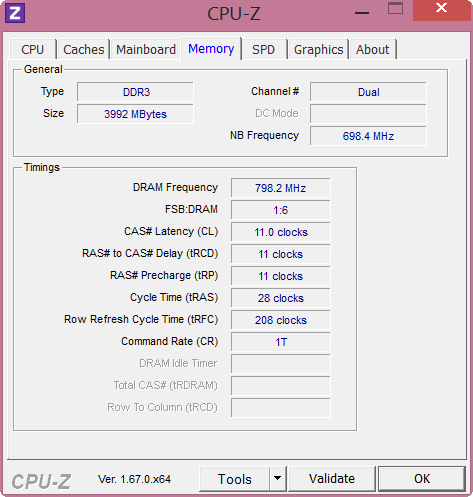 The CPU soon throttles to 1.1 GHz, and remains there for the duration of the simultaneous load (two-hour stress test). Thus, the temperatures of the CPU can be kept at 55 degrees Celsius (131 Fahrenheit). We deem the settings as a bit over-cautious because the chip reached a temperature of just 57 degrees (134.6 Fahrenheit) during the test. The manufacturer probably has the tablet scenario in mind, where the chassis should not heat up excessively. The CPU throttles its clock rate even more in the fan's Silent Mode (setting in Vaio Control), so down to 600 to 700 MHz. The iGPU clock could not be read out. The speakers are on the tablet's back side, exactly where the hands would be when carrying it around. This can distort the sound adversely. However, the stereo speakers do not produce a rich sound anyway. They strongly emphasize the mids, but neglect the trebles (differentiation), not to mention low ranges. There is not even a hint of bass. The maximum volume is quite high, and can fill a small room with sound without distorting or scratching. Whether the music sounds good in this case is another question. Headphones are strongly recommended for music lovers. The 44-Watt power supply only needed 2:08 hours for recharging the completely drained battery. The Terra Mobile needs four hours for its twice as strong battery. The power supply seems very over-sized in view of the low consumption in the stress test. The power consumption dropped to 17 Watts (without recharging the battery) due to throttling (600 - 700 MHz). The stress test using only Prime95 consumed 15.7 Watts (@1.2 GHz). 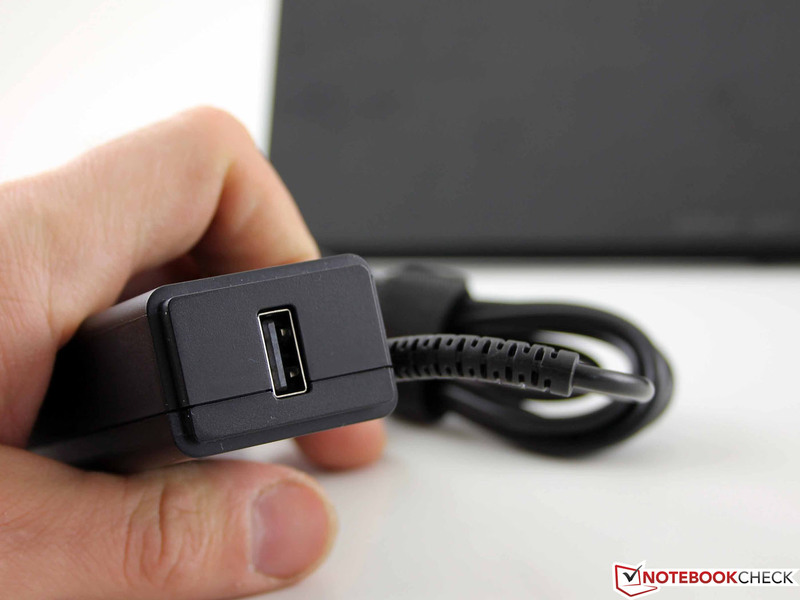 The Tap 11 is not the best of its class with a minimum idle power consumption of 4 Watts. Microsoft's Surface Pro 2 only consumes 3.1 Watts. 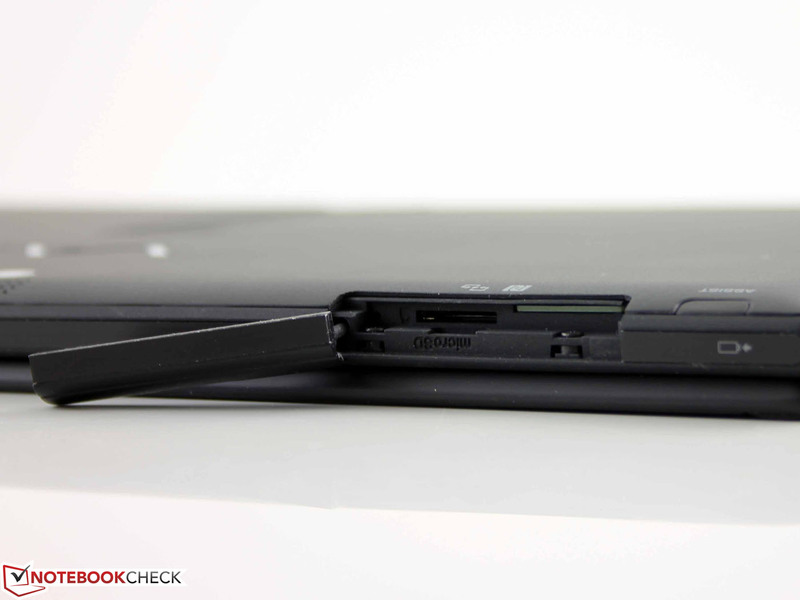 Lenovo's ThinkPad Helix is a downright guzzler with 7.9 Watts. Throttling becomes very obvious during load. First, there is no difference between normal load and the stress test (16.5 Watts), and second, the Tap 11 is at least 48% more energy saving than the competition named under Performance (Toshiba Z10t). The Surface and Helix consume 43 and 34 Watts. 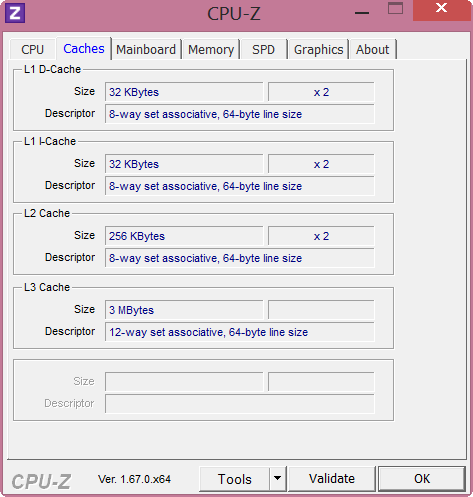 A Y-processor is also installed in the mentioned Toshiba Portégé Z10t, but with a TDP of 13 rather than 11.5 Watts. We ascertain the battery runtime in four scenarios. Wi-Fi browsing and video playback likely come closest to real-life use here. A script opens a new website every 45 seconds, some with videos, in the Wi-Fi test. The brightness is set to 150 cd/m² for this (sensor disabled), and the fan/performance modes are set to "Silent" and energy saving. The Tap 11 lasted for 5:13 hours in this case. Both the ThinkPad Helix (+40%) and Surface Pro 2 (+24%) do better here. Even Wortmann's comparatively affordable Terra Mobile Pad 1160 (+67%) lasts almost four hours longer. What is Sony still doing wrong after investing so many tricks and know-how in energy saving? The battery's capacity is too low; 30 Wh is simply too little. The ThinkPad Helix (42 + 28 Wh in the dock), Surface Pro 2 (42 Wh), and Terra Mobile Pad 1160 Pro (72 Wh) sometimes have twice the capacity. In return, the Mobile Pad 1160 also weighs 1.5 kilograms (~3.3 pounds) with a thickness of almost 14 mm (~0.55 inches). The Helix seems to be a good compromise as it shifts 28 Wh of battery power to the keyboard dock, and thus some of the weight. 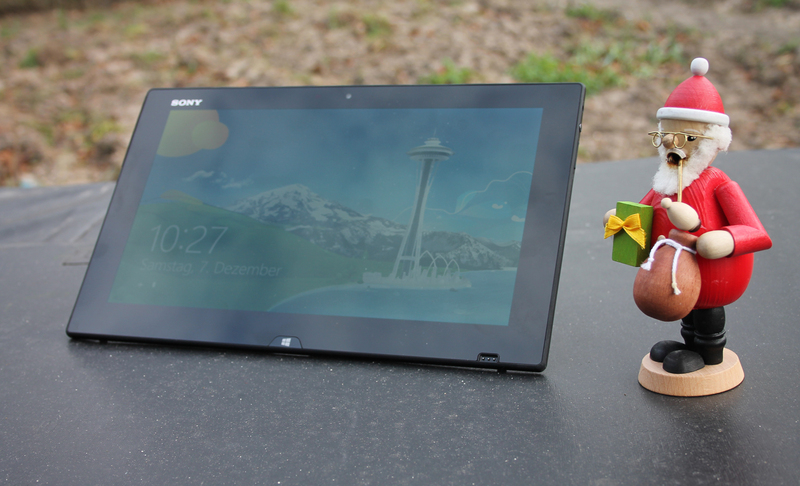 Expensive Christmas: The test configuration of Sony's Vaio Tap 11 SVT-1121G4E/B costs 1299 Euros. Sony worked very hard. The thinnest Windows tablet was supposed to be on the shelves for 2013 Christmas sales. It is now here with a thickness of just 10 millimeters (~0.4 inches), with a good IPS screen (FHD), and a usable NFC keyboard. Unfortunately, the manufacturer pulled out all the stops to ensure that the 11.6-inch tablet manages well with a lightweight, small 30 Wh battery. Besides that, this kind of tablet should not get too warm during use, or too loud for that matter (active fan). 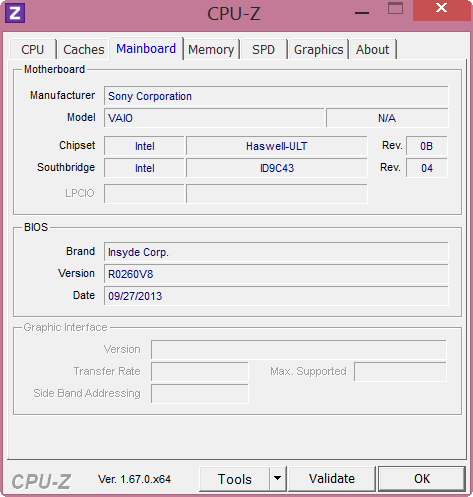 Sony focuses on power consumption, and installs the weakest Intel Core i5 in the 11.5-Watt version (Y model). 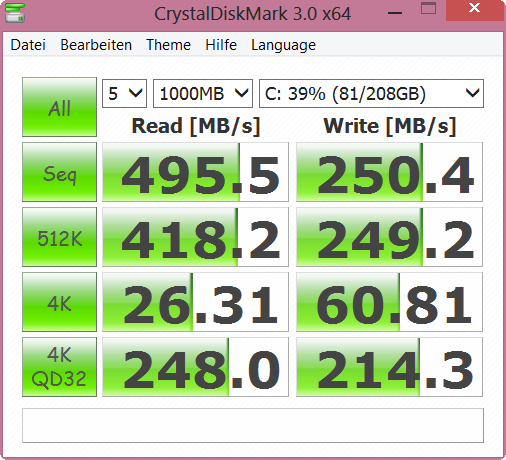 In the end this results in a speedy Windows tablet; the swift SSD compensates the CPU's weakness to an extent. 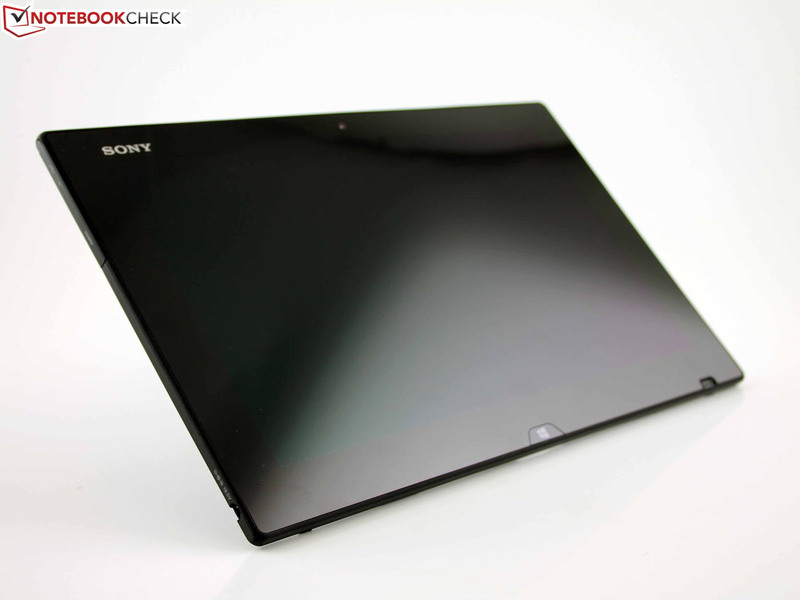 However, we would not call it ultrabook performance in a thin tablet format. All contenders calculate, to some extent, much faster, although they are heavier, thicker, and usually also warmer and louder. 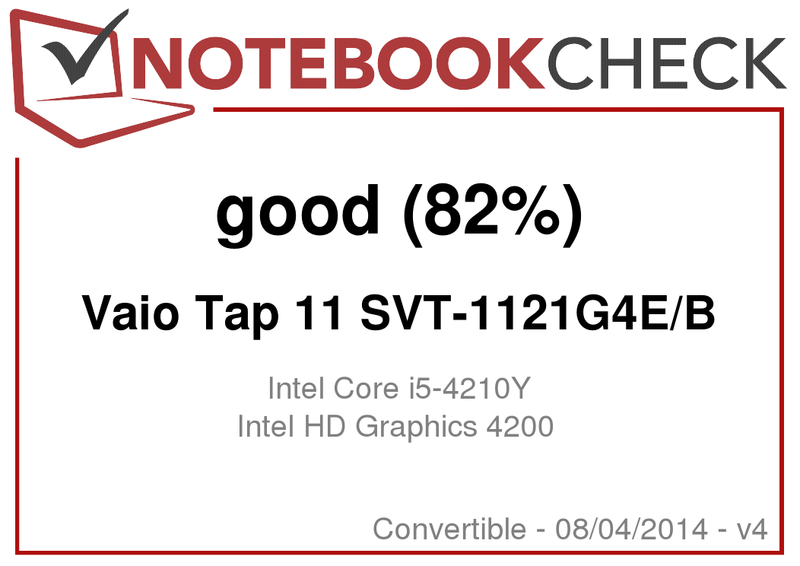 The Vaio Tap 11 SVT-1121G4E/B is not suitable for performance geeks. 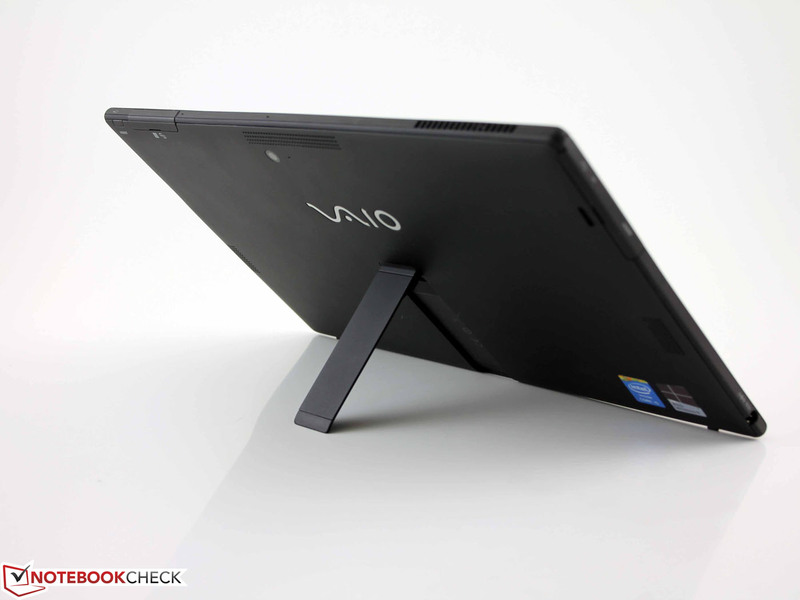 Mobile workers and those who are on the go with the Vaio will nevertheless have fun with it. Microsoft's Surface Pro 2 is suited for price-conscious customers who do not want to exceed 1000 Euros (~$1369). Like Lenovo's ThinkPad Helix, it has a lot more computing power, and actually features ultrabook performance. Wortmann's Terra Mobile Pad 1160 Pro is a small personal tip. It offers very long battery runtimes, subnotebook performance, and also has a (digitizer) stylus for less than 900 Euros (~$1232). Wortmann also has a pretty good keyboard dock that can be used as a protection cover among its accessories. 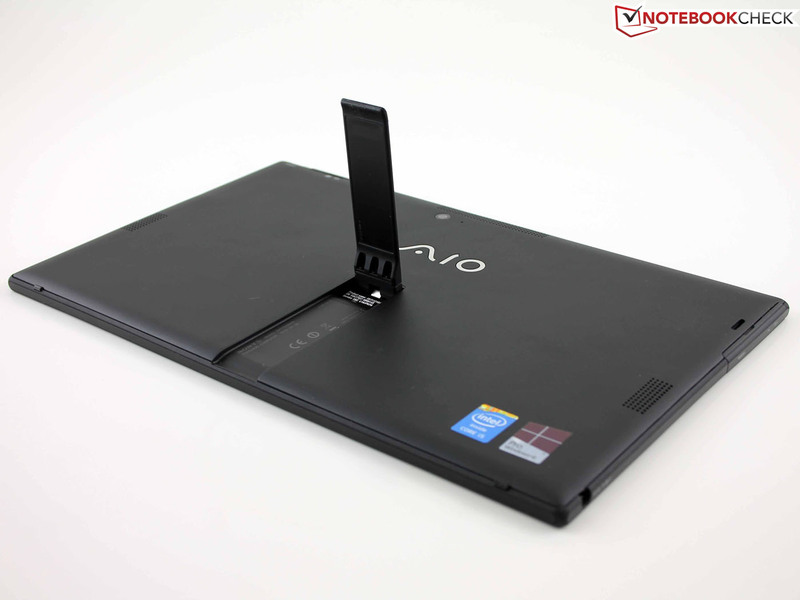 Vaio Tap 11 SVT-1121G4E/B: Sony knowingly accepts performance disadvantages in favor of a thin casing, low weight, and usable battery runtimes. It cannot not be called a "laptop" in tablet size. The thinnest Windows 8 tablet on the market? 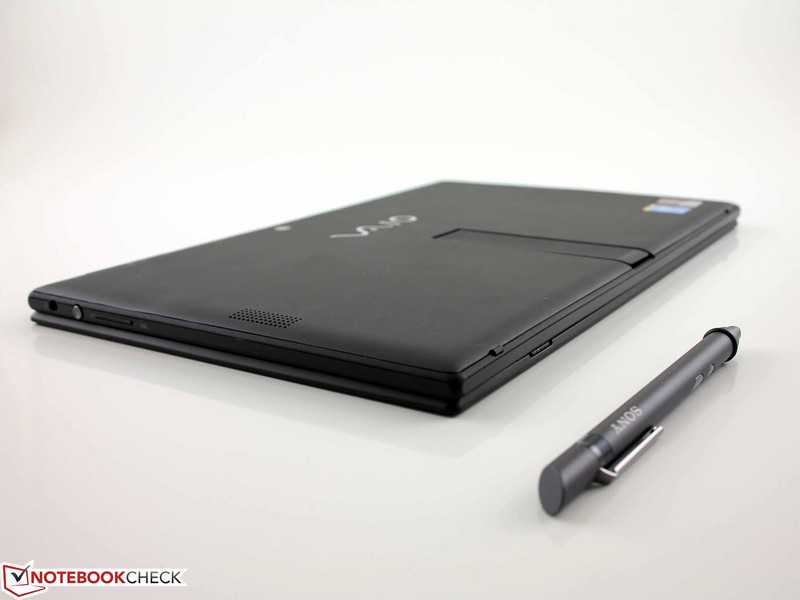 ...the Vaio Tap 11 is to be a workplace for on-the-go. 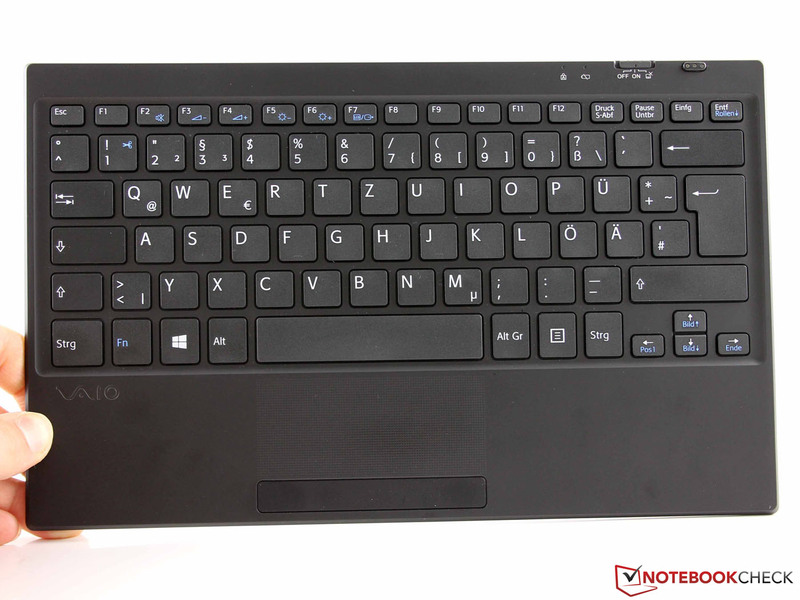 Sony complements its Vaio Tap 11 with a Bluetooth keyboard and a digitizer pen by default. Windows is still very widespread particularly in the professional field. The underside of the just 5 millimeter thick keyboard has small feet. 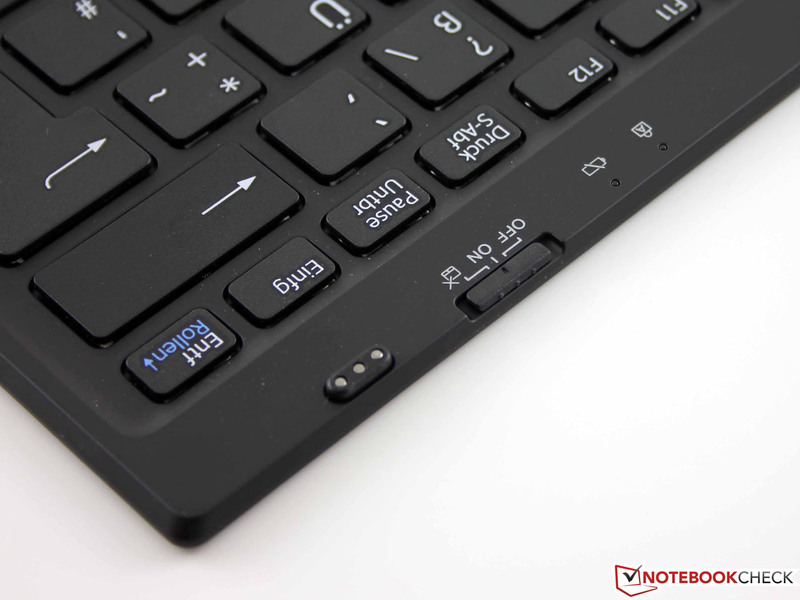 A status LED indicates whether the tablet is recharging the wireless keyboard. 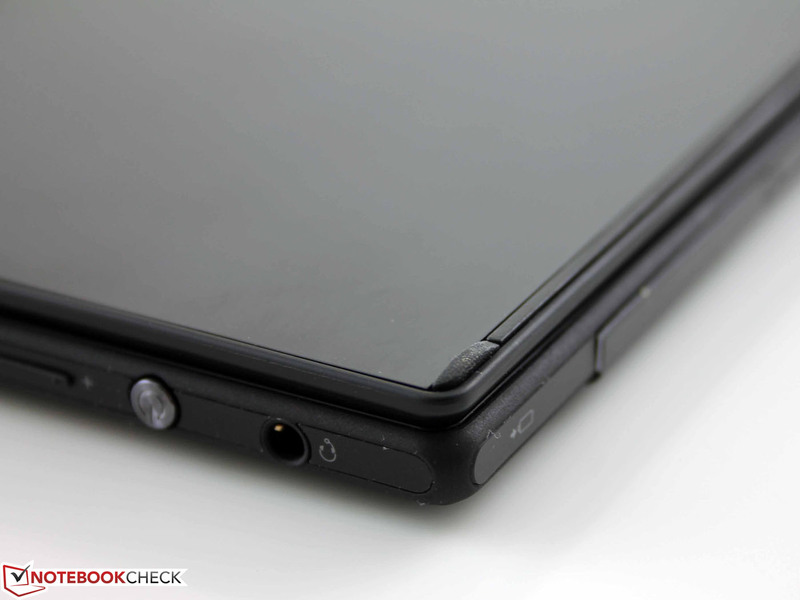 Tiny feed on the tablet's underside prevent scratches, and ensure a secure stand. A stylus belongs to the standards of the Tap 11. 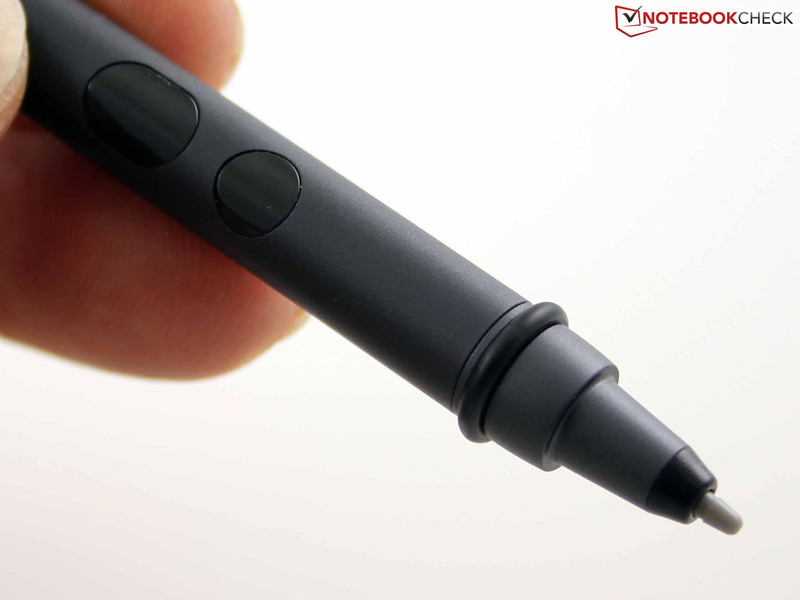 The pen has a battery, two buttons, and an aluminum housing. The rubber ring around the tip provides grip for the finger. A micro SD card reader is installed. ...and has a rubber coating. It can be adjusted to almost 90 degrees, which tilts the tablet to almost 45 degrees. The stand can also be used to hold the tablet. There are no maintenance openings; screws are not visible. The tablets only weighs 762 grams (~1.7 pounds). The keyboard adds 290 grams(~0.6 pounds). Sony installs a rare 11.5-Watt processor in the 11.6-inch device. It regrettably throttles its clock during high, consistent load. Consequently, the 44-Watt power supply is never maxed out. We measured a maximum power consumption of 17 Watts. The new power plug can no longer be used as a leash for the tablet. The plug is released when it is bent in its socket. 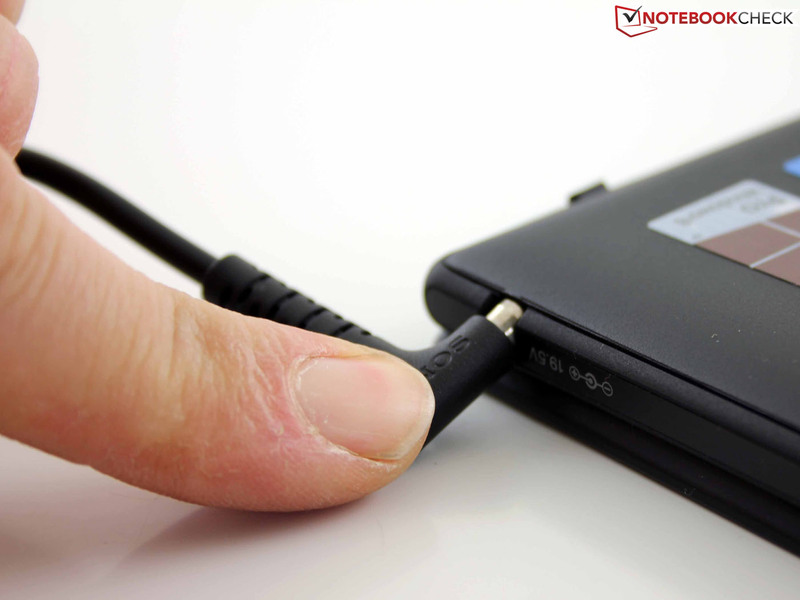 The Vaio Fit multi-flip models also feature this plug model. The keys feature a good, and distinct drop. However, the thin aluminum plate on the underside yields clearly. Picture of the connector for recharging the keyboard battery. The low weight, the bright IPS screen. 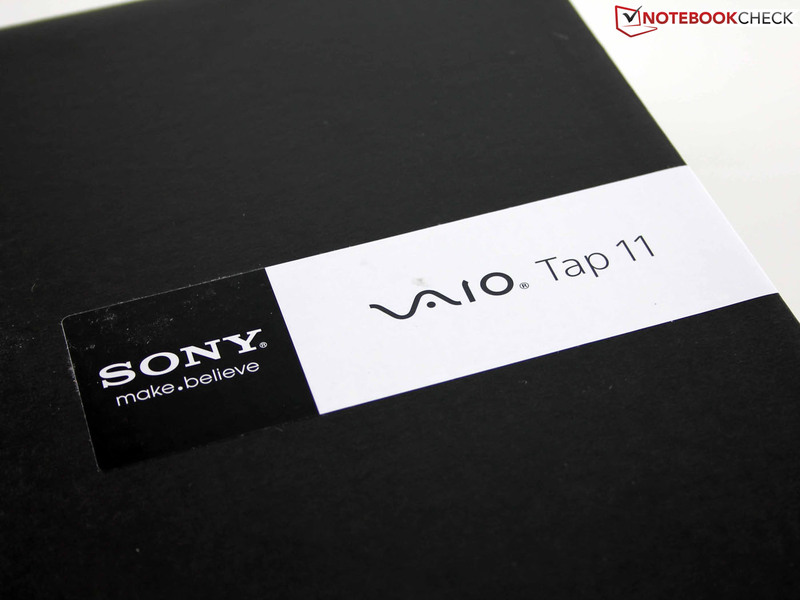 Sony sells the entry-level Tap 11 model for starting at 800 Euros (~$1094). Really business-suitable input devices with first-rate feedback. The build does not quite justify the steep price. 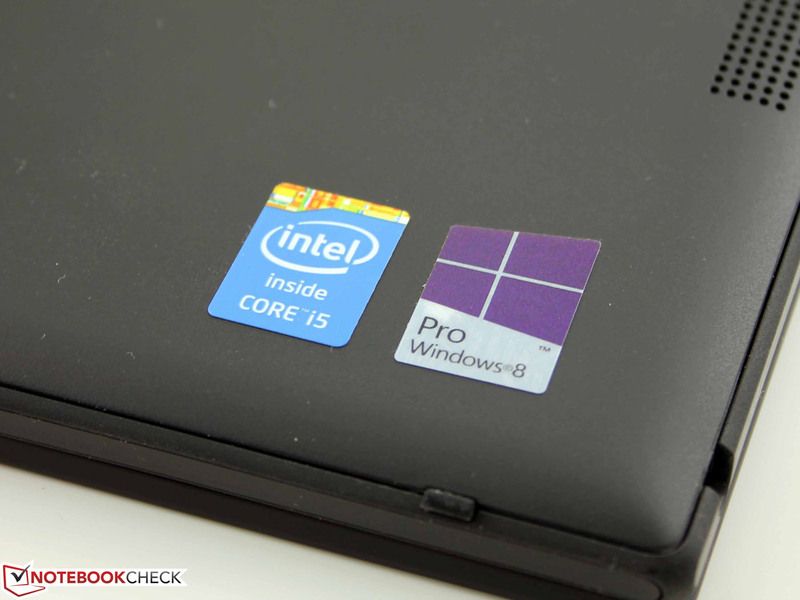 We'd accept a bit more weight, and a thicker chassis for performance that can really compete with good ultrabooks. 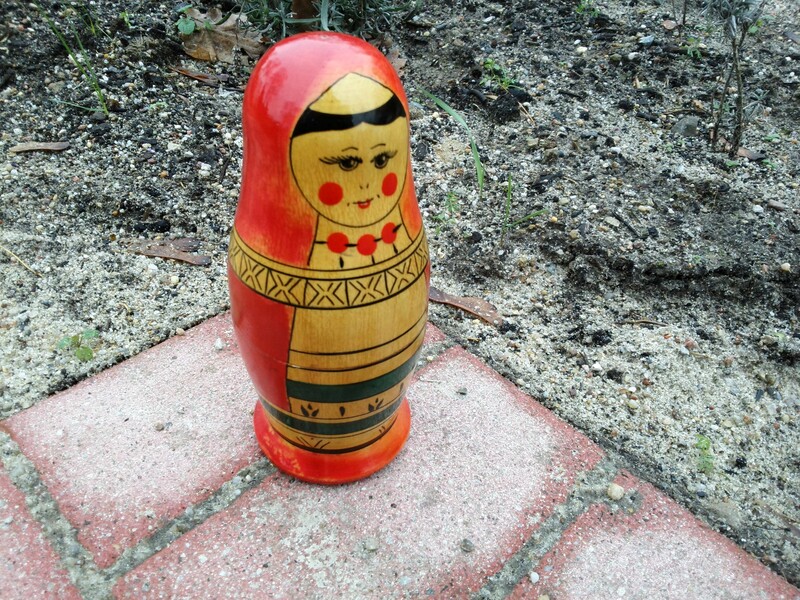 However, everyone not keen on performance may see this differently.